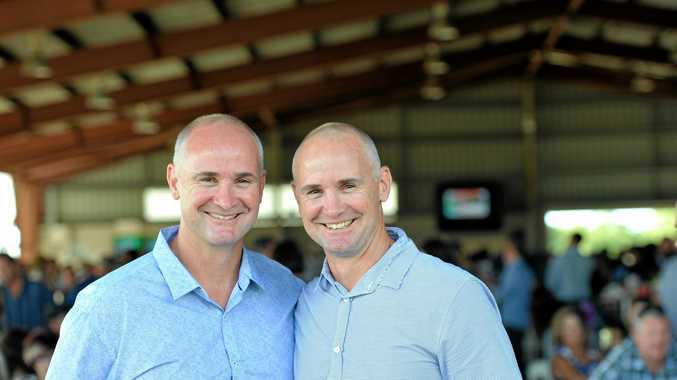 IF THERE'S one person in Gladstone who knows what it will take to beat MP Glenn Butcher in a fight, it's his twin brother Sergeant Wayne Butcher. "He used to beat the daylights out of me when I was younger," he said. "Even though we were twins, Glenn had more weight and height than me. "He's still a bit wider than me now. "But when he got hold of me I knew about it." Wayne described his brother's fighting style as 'a thrasher'. "Not a lot of skill or science there," he said. When asked about Glenn's weaknesses he said he had two. "Fatigue and his knees," he said. "Matt could probably beat him if he throws a few real low ones into his knees. "But Matt used to be a good 10km runner, if he can draw on that skill and jog around the ring and avoid being hit for three rounds he should be alright." Wayne said Glenn had two very good strengths. "For starters, he's doing it for a good cause," he said. "He doesn't like losing either, especially to a Bulldog's supporter. "That alone would be good motivation for him." Organiser Mick Daly initially wanted the two brothers to fight in the charity bout. "I reckon I've got Glenn covered now," Wayne said. "He's lucky I'm working on the night."